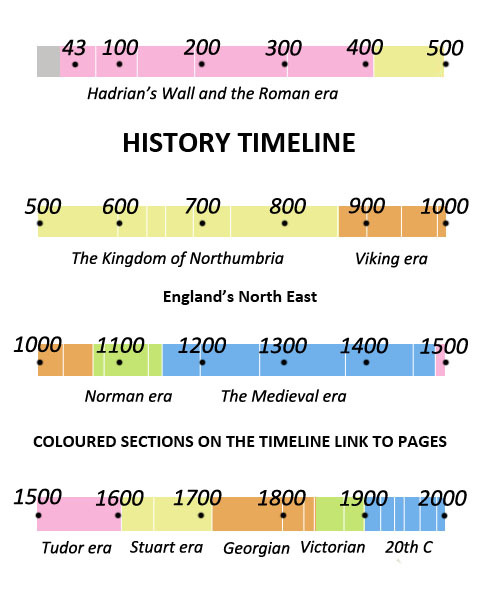 When Eric Bloodaxe became King of York in 948AD he claimed all of Northumbria as his own. He had one rival - Earl Oswulf of Bamburgh. Supported by the King of Wessex, Oswulf employed an agent to murder Bloodaxe at Stainmore high in the Pennines near to where the A66 runs today. 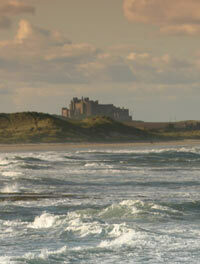 On Eric's death, the 350 year old Kingdom of Northumbria came to an end. The King of Wessex became King of all England. The North-East had lost its independence for good. Edmund, King of England, has been assassinated, he has been succeeded by his son, Eadred. Wulfstan, the Archbishop of York, has submitted to Eadred at Tanshelf in the south of Northumbria. Eadred is unaware that Wulfstan plans to offer the Kingdom of York to Eric Bloodaxe, the King of Norway. 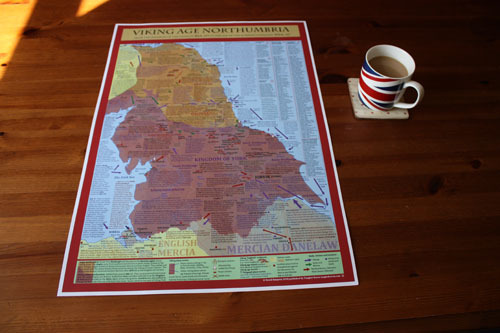 Eric Bloodaxe - part Norse, part Danish - has been elected King of York and lays claim to the whole of Northumbria. 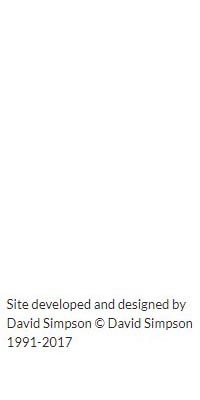 Yorkshire support for Eric Bloodaxe has been subdued following an attack from Eadred, the King of England. Bloodaxe has been ousted by Eadred in favour of a new candidate. Ripon minster is severely destroyed during the confrontation and Odo, the Archbishop of Canterbury, has taken the relics of St Wilfrid and reburied them at Canterbury. Because of the uncertainty in the North-East, King Malcolm of Scotland has raided as far south as the River Tees. Olaf Sihtricson, a Viking from Dublin, has become the King of York. He is thought to have gained the support of Eadred, King of England, who would rather see Olaf in power than the powerful Eric Bloodaxe who is somewhere in exile. Wulfstan, Archbishop of York, has been imprisoned for supporting Eric Bloodaxe. Olaf Sihtricson has failed to gain support in York and Eric Bloodaxe has been reinstated by the men of Yorkshire. Eric visits the shrine of St Cuthbert at Chester-le-Street. This pilgrimage has become something of a tradition among powerful kings - in pr evious years English kings who have visited the shrine have included King Athelstan, King Edmund and King Eadred. Eric Bloodaxe has been murdered in the bleak moors of Stainmore in Teesdale by Maccus, an agent of Oswulf Ealdulfing, the High Reeve or Earl of Bamburgh, who rules Northumbria north of the Tees. Oswulf is a supporter of Eadred, the King of Wessex and Eng land, who may have encouraged the murder. Eric's death signifies the end of northern independence and from now on Yorkshire and the North-East will be ruled as part of England by Kings in the south. The Scots under King Indulf have taken Edinburgh from the Northumbrians. King Eadred has died and has been succeeded by his nephew Eadwig. 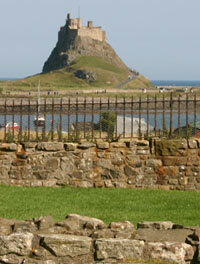 Mercia and Northumbria have rebelled against Eadwig in favour of his brother Edgar who they wish to appoint king. Edgar is the new king of England. Oslac, a nobleman from the fenlands of Mercia, is appointed Earl of York (Yorkshire) by Kind Edgar who expects him to keep the north peaceful. Viking brothers called Thorgils and Kormak in the service of King Harald Grafeld, King of Norway, have established a stronghold at Scarborough while harrying in Ireland, England and Wales. Thorgils was known to his brother by the nickname 'Hare Lip', or in the Viking language 'Skarthi' . It is probable that 'Hare-Lip' gave his name to Scarborough. There may already have been an Anglo-Saxon settlement on the site and there was certainly a Roman signal station here. Kenneth, King of Scotland, has raided the North-East as far as Stainmore, Teesdale. St Oswald, the Bishop of Worcester, has been appointed the Bishop of York. He is a Midlander by birth but is of Danish descent. St Oswald replaces St Ethelwold who only became Archbishop of York last year. He is sometimes confused with the earlier St Oswald who was a once king of Northumria. King Edgar has held a meeting with Kenneth, King of the Scots, and the Kings of Cumbria, the Islands and five other kings at Chester. The meeting is thought to have been a discussion regarding the Scottish claim to land north of the Tees. Edgar, who impr essed the northern kings with his great army, is likely to have told them to keep their hands off the region which has been a great supporter of kings in the south. King Edgar dies and is succeeded by King Edward the Martyr. Oslac, Earl of Yorkshire, has been exiled from York and replaced by Earl Thored. The young King Edward the Martyr has been murdered at Corfe Castle, Dorset, and succeeded by his nine-year-old half-brother Athelred II - nicknamed the Unready because he is so young. The Vikings have established the Tynwald, which is the name of the parliament on the Isle of Man. The island is a major stronghold of Norse settlement.